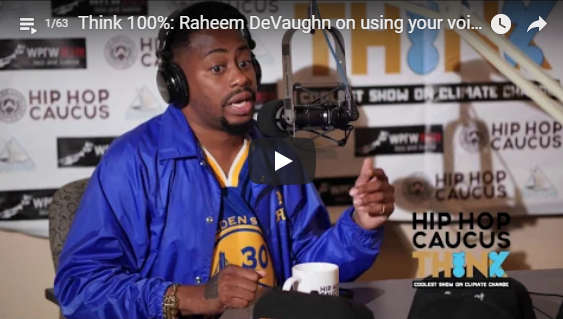 ICYMI Last Week: Three-time Grammy-nominee, singer, songwriter, and humanitarian, Raheem DeVaughn, joined us in the studio to discuss how we can harness the power of culture to improve our communities and protect our planet. You can listen to episode 18 on iTunes podcast and watch a view of the video clips now (using your voice as a tool for positive change, being an “artivist”, encountering systematic racism, connecting policy makers to what’s happening). 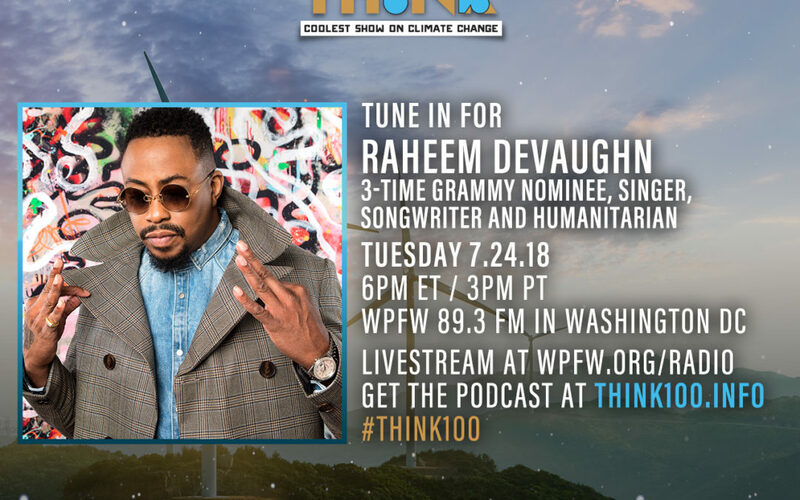 Raheem has been a long-time climate justice advocate and has done some great work over the years, including joining Hip Hop Caucus’ Climate Campus Tour and recording an amazing trackfor the People’s Climate Music Heal Our Mother Earth (H.O.M.E.) album. Think 100% challenges environmental injustices and shares just solutions to climate change, including a transition to 100% clean energy for all. The show is hosted by national civil and human rights, and environmental and climate leaders, Rev. 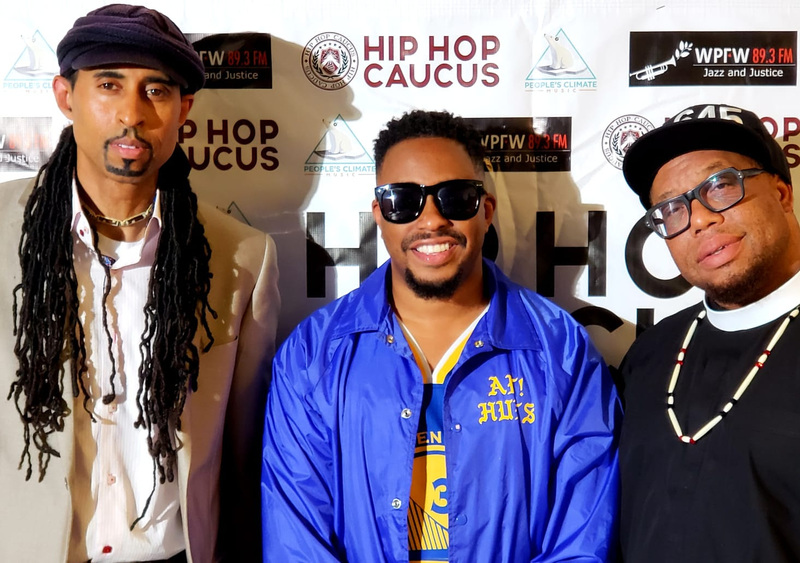 Lennox Yearwood Jr., Mustafa Santiago Ali, and Grammy-Nominated Singer & Actress, Antonique Smith. Guests include leaders from communities on the front-lines of climate change, elected officials who are boldly leading, and cultural creators and artists who are reaching hear ts and minds. Tune in and join the conversation on social media using #Think100 and tag us @Think100Showand @HipHopCaucus.